We all have our excuses/crutches. Dropping them and creating a new life takes commitment and discipline. 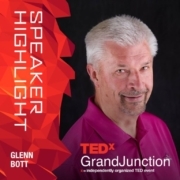 Trusted professional speaker, Glenn Bott, leads teams or individuals in reclaiming their personal power and unlocking their true potential with thought-provoking and humorous presentations. Contact Glenn to create the life of your dreams! Glenn delivers an expanded keynote speech and inspirational talk he presented to approximately 700 people at his TEDx talk in March 2019. This is every audience’s favorite talk and Glenn will gladly tailor this presentation to fit your personal/business needs. The core message is the power of transformation and positive thinking. Glenn teaches the group how to implement a few proven and extremely powerful fundamental tactics so everyone can perform similar feats. 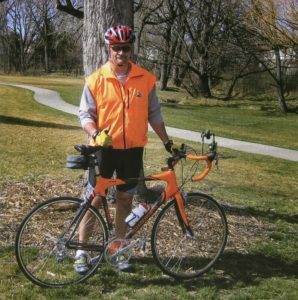 Glenn gives a memorable and emotional account of his collision with a SUV while bicycling and shares the subsequent tactics his wife used to help him fully recover. Between the two of them and these techniques they clearly demonstrate that anything is possible. Business today is done radically different from years before. However, people remain the same – we still have our treasured personal stories, desires and goals. Sometimes, our visions appear to be out of reach. Feelings of hope and control go out the door, leading to more frustration. That’s why Glenn uses his extensive training as a Research Manager – and unique life lessons learned from a full recovery from a near fatal TBI – to inspire the belief that everyone has value and can achieve success. Have the courage to be you and allow your awesomeness to shine forth. Now is the time to begin creating the life of your dreams! He was laying in a bed at Denver’s local head trauma hospital, having just emerged from a 10-day coma. His wife had been speaking words of encouragement to him throughout his coma. She told told him the doctors were basing their poor prognosis on other peoples’ histories. She reminded him that he wasn’t those people – he was strong and focused and would recover. It was his wife’s strength, love and the belief in him that were the keys to his recovery from the severe TBI. This path led him to a new career as a speaker and life coach to help others claim their own personal power to create a wonderful life for themselves. In 2013, Glenn opened a life coaching business dedicated to helping others reclaim their personal power as he did. He offers one-on-one coaching and business consulting, and speaks on the fundamentals that anyone can use to achieve the “impossible”. 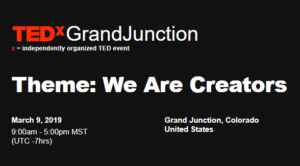 Thank you for your time, energy efforts yesterday in making the TEDx Grand Junction event such a success. 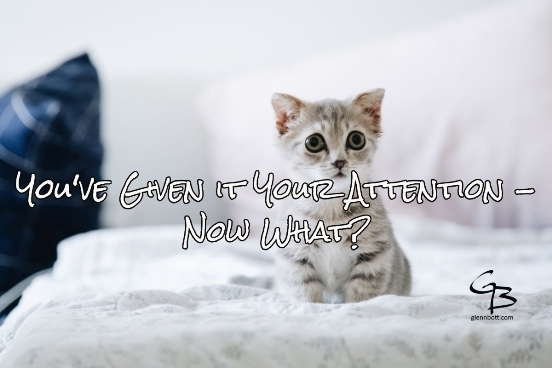 You should be feeling pretty good about your presentation as it was one of the most talked about at the event. Your time in our meeting was the exclamation point on these discussions. Glenn Bott’s presentation to our organization inspired us all to be better, more conscious and productive. Glenn’s unique viewpoint and Business Aikido concepts have helped me grow our business and also move forward on a personal level. Thank you! Your presentation was fantastic, and you’ve definitely inspired us. It hit the correct chord for the dynamics of our group. While Glenn has a healthy understanding of human imperfections and foibles, on the whole he believes people are worthy of trust and confidence. Glenn attempts to motivate others to cooperate in achieving their goals… He is truthful, transparent and faithful to commitments. Glenn will lead a performance that you and your audience will talk about for years.